In the aftermath of Thanos wiping out half of all life in the universe, the Avengers must do what's necessary to undo the Mad Titan's deed. The much-anticipated sequel to the critically acclaimed, global box office phenomenon that started it all, “The LEGO® Movie 2,” reunites the heroes of Bricksburg in an all new action-packed adventure to save their beloved city. It’s been five years since everything was awesome and the citizens are facing a huge new threat: LEGO DUPLO® invaders from outer space, wrecking everything faster than they can rebuild. The battle to defeat them and restore harmony to the LEGO universe will take Emmet, Lucy, Batman and their friends to faraway, unexplored worlds, including a strange galaxy where everything is a musical. It will test their courage, creativity and Master Building skills, and reveal just how special they really are. June, an optimistic, imaginative girl, discovers an incredible amusement park called Wonderland hidden in the woods. The park is full of fantastical rides and talking, funny animals - only the park is in disarray. June soon discovers the park came from her imagination and she's the only one who can fix it, so she bands together with the animals to save this magical place and bring back the wonder in Wonderland. Stella Grant (Haley Lu Richardson) is every bit a seventeen-year-old: she’s attached to her laptop and loves her best friends. But unlike most teenagers, she spends much of her time living in a hospital as a cystic fibrosis patient. Her life is full of routines, boundaries and self-control -- all of which is put to the test when she meets an impossibly charming fellow CF patient named Will Newman (Cole Sprouse). There’s an instant flirtation, though restrictions dictate that they must maintain a safe distance between them. As their connection intensifies, so does the temptation to throw the rules out the window and embrace that attraction. Further complicating matters is Will’s potentially dangerous rebellion against his ongoing medical treatment. Stella gradually inspires Will to live life to the fullest, but can she ultimately save the person she loves when even a single touch is off limits? Girls Trip’s Regina Hall and Black-ish’s Marsai Martin both star as Jordan Sanders — Hall as the take-no-prisoners tech mogul adult version of Jordan and Martin as the 13-year-old version of her who wakes up in her adult self’s penthouse just before a do-or-die presentation. Insecure’s Issa Rae plays Jordan’s long-suffering assistant April, the only one in on the secret that her daily tormentor is now trapped in an awkward tween body just as everything is on the line. Little is an irreverent new comedy about the price of success, the power of sisterhood and having a second chance to grow up — and glow up — right. We all have a superhero inside us, it just takes a bit of magic to bring it out. In Billy Batson’s (Angel) case, by shouting out one word—SHAZAM!—this streetwise 14-year-old foster kid can turn into the adult Super Hero Shazam (Levi), courtesy of an ancient wizard. Still a kid at heart—inside a ripped, godlike body—Shazam revels in this adult version of himself by doing what any teen would do with superpowers: have fun with them! Can he fly? Does he have X-ray vision? Can he shoot lightning out of his hands? Can he skip his social studies test? Shazam sets out to test the limits of his abilities with the joyful recklessness of a child. But he’ll need to master these powers quickly in order to fight the deadly forces of evil controlled by Dr. Thaddeus Sivana (Strong). Do you belong to a community organisation, school or business group? Do you want to do something special or fundraise? Have you considered a special screening? Ask staff for more information! Gift cards are available. Cost is the same as ticket prices. We regret that we are unable to accept payment by credit card. 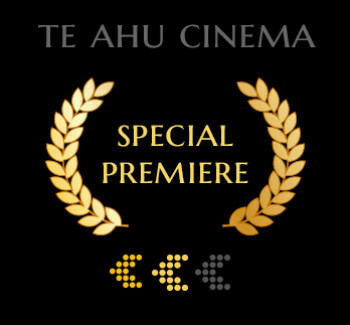 Te Ahu Cinema is open 30 minutes before the first session of the day. Doors close 15 minutes after the last session of the day begins. Please enter via Church Road / Matthews Avenue Entrance. Pick up a Loyalty Card and after 9 movies your 10th movie is free! Cards are limiting to a window of 12 months and are for a designated type of ticket (i.e. Adult, Child, Student, etc.) 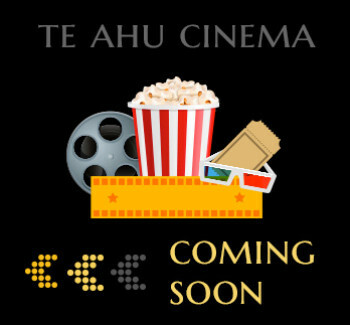 so when you get your card stamped the first time, you will have 12 months to go to 10 movies!